More information about Docker, click here. I tried to install Docker on my Windows box by installing docker2boot and it worked most of the cases, but I failed to open up the flask server from my chrome, seems like the OS is blocking the port. Then I tried to install Docker on my OS assuming the unix-based Mac OS might have a better luck, however, it was even a worse user experience and it cannot do anything due to `docker file doesn’t exist…etc`.. 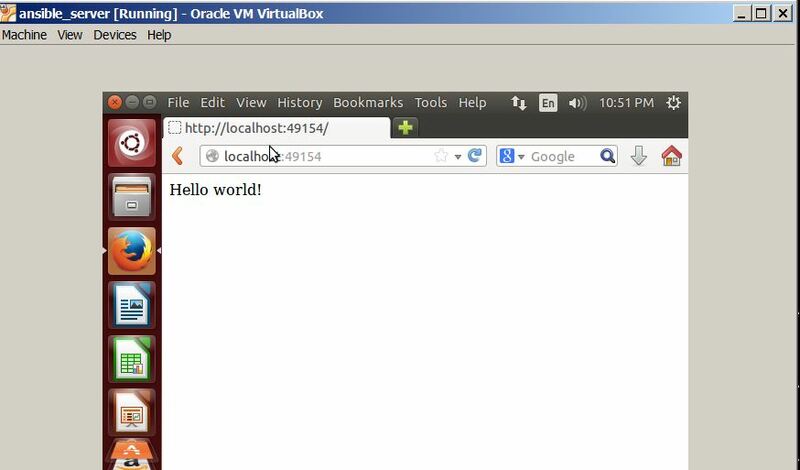 In the end, to have a complete user experience, I started a Ubuntu Desktop virtual box on my beefy windows machine and I finished the tutorial and can see the page hosted by a Docker container. This Post was posted in Uncategorized and tagged docker, ubuntu, virtualbox. Bookmark the permalink.